TUCSON, Ariz. — Armed with one of the top pitching staffs in the USA, six returning position player starters and the No. 1 recruiting class in the nation, Florida is ranked No.1 in Collegiate Baseball newspaper’s Fabulous 40 NCAA Division I pre-season poll presented by Big League Chew bubble gum. • 6-foot-7, 230-pound LHP A.J. Puk who touches 99 mph with his fastball. Last season he was 9-4 with a 3.81 ERA, 104 strikeouts and 35 walks. • RHP Logan Shore who throws a mid-90s fastball and last season was the ace of the staff with an 11-6 record, 2.72 ERA, 84 strikeouts and 24 walks. 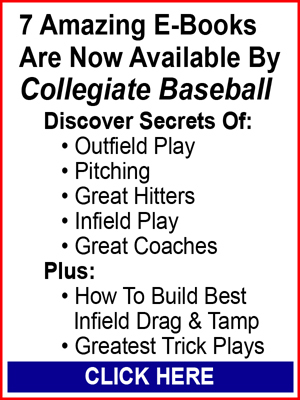 • CF Buddy Reed, an outstanding outfielder, who hit .305 with 14 doubles, 47 RBI and swiped 18 bases. • RHP Dane Dunning who has a mid-90s fastball and posted a 5-2 record, 4.03 ERA and struck out 55 batters with 23 walks over 60 1/3 innings last season. Plus, Florida returns Louisville Slugger Co-Freshman of The Year C/DH J.J. Schwarz who hit .332 with 18 homers, 16 doubles 73 RBI. The pre-season poll factors in voting by NCAA Division I coaches across the nation, how a team finished last season, returning position player starters and pitchers, potential draft picks along with the quality of its recruiting class that came to school last fall. Over the last three years, Florida has landed the most impressive recruiting classes of any program in the nation as the Gators ranked No. 1 in 2013, No. 3 in 2014 and No. 1 in 2015, according to Collegiate Baseball’s annual analysis. Those three classes have included a combined 21 drafted players and a number of All-Americans. O’Sullivan has led the Gators to the College World Series four times in the past six years highlighted by a runner-up finish in 2011 and third place in 2015, three Southeastern Conference titles in the past six years (2010-11-14), as well as eight NCAA Tournaments in a row. 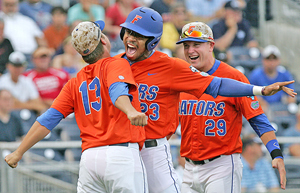 Winning a national championship is something the Gators have never done in baseball, and the 2016 Florida ball club is equipped to win it all. To read the in-depth story about why Florida is ranked No. 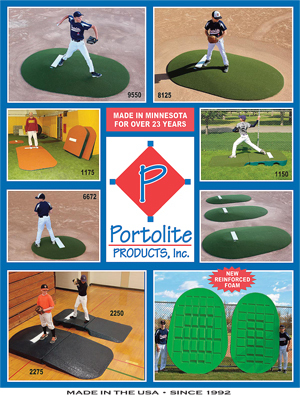 1 in the Fabulous 40 Pre-Season Poll, purchase the Jan. 1, 2016 edition of by CLICKING HERE. 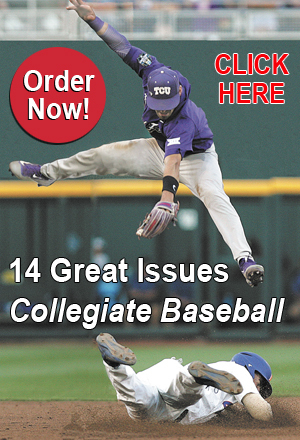 This 2016 College Pre-Season Edition also includes the Louisville Slugger Pre-Season All-Americans, the top 81 college players in the nation who have a chance of being drafted in the first two rounds of next June’s MLB Draft and a rundown on the top teams and players on every level of college baseball with in-depth rundowns on the top teams in each division. Other Teams Receiving Votes: Southern California (39-21), Southeastern Louisiana (42-17), Arizona St. (35-23), Florida Atlantic (42-19), Arizona (31-24), Oklahoma (34-27), Stanford (24-32), Auburn (36-26), Mississippi (30-28), Tennessee (24-26), Alabama (32-28), Georgia (26-28), San Diego (33-22), Iowa (41-18), Clemson (32-29), U.C. Irvine (33-23), Long Beach St. (28-26), U.C. 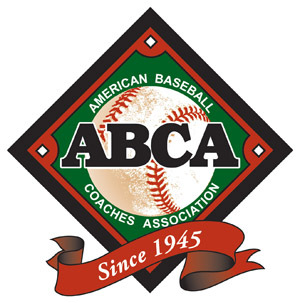 Santa Barbara (40-17-1), Kent St. (31-22), Creighton (32-19), North Florida (45-16), Southern Mississippi (36-18-1), Nevada (41-15), Illinois (50-10-1), East Carolina (40-22), Wichita St. (26-33), New Mexico (32-27), Grand Canyon (32-22), Gonzaga (24-28), Loyola Marymount (33-21-1), Troy (30-25), Texas St. (24-32-1), Oral Roberts (41-16), Sam Houston St. (31-28), Wofford (39-22), Mercer (35-22), Samford (32-26), Central Florida (31-27), South Florida (34-26-1), Southeast Missouri (36-23), Bryant (29-25), Fresno St. (31-28), Central Michigan (35-22), Ball St. (33-25), Wright St. (43-17), N.C. Wilmington (41-18), Indiana (35-24), Radford (45-16), Liberty (33-23), St. John’s (41-16), Seton Hall (25-25), St. Louis (35-21), Stetson (29-30), Florida Gulf Coast (30-26-1), Lipscomb (39-20), Wake Forest (27-26), N.C. State (36-23), Connecticut (35-25).